Little did they imagine when they produced their first remedy that some twenty years later they would be supplying over 3,500 different remedies to practitioners and the public in 117 countries around the World. 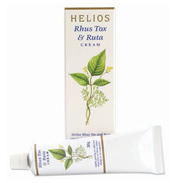 But while Helios have come a long way, they have never lost touch with their founding principles of producing potent, accurate and effective remedies using the traditional Hahnemann technique of hand trituration and potentisation to bring about profound healing and the relief of suffering. Today they remain at the forefront of developments in homeopathy, and their range of remedies includes tablets, tinctures, speciality kits and creams and they remain centred at the heart of homeopathy and to promoting the ideal state of health we all seek throughout our lives. As an established manufacturer they are committed to the discipline of good manufacturing practice and maintain high quality control required to keep their remedies available to homeopathic professionals, their patients and the general public. Select from the range of very popular Kits, Creams and other products. 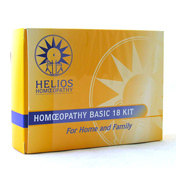 Their kits are unique and ideal for newcomers as well as those more familiar with homeopathy and cover a significant proportion of the most common ailments and first aid situations. Homeopathy is an alternative medicine to treat like with like. It is particularly used in a lot Europe and India and less in the USA. It treats by having extremely diluted agents, given in undiluted doses, which are thought to produce similar symptoms in a healthy person. Homeopathy can be used for several different illness's, including Migraines, muscle soreness and symptoms of menopause.